Google officially launched much awaited their online cloud storage system Google Drive like Microsoft SkyDrive. 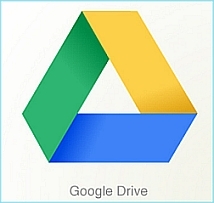 Google Drive offers 5 GB free online cloud storage and it is integrated with Google Docs. You can store your files online and access it from anywhere on the internet and you can sync your offline files. Google Docs is built right into the Google Drive account, so you can work with documents, spreadsheets and presentations. If you share any document to others, you can post comments and reply to comments on any files like Pdf books, images and etc. • Powerful search makes get your content faster by keyword search. Google Drive supports search on Pdf files and scanned documents with OCR technology. • Supports to view 30 types of files. You can view Adobe Photoshop and Illustrator files also if you have not installed on your system. • You can share files to anyone, but you can limit to who can see and who can comments for the files. • Make a discussion to get feedback on your files. • Every change of files will be saved with revisions of the files. So you can look back your files as far as 30 days automatically. Google Drive is now available to Windows, Mac and Android devices. Google Drive App for iPhone and iPad devices coming soon. You can get started with free 5 GB cloud storage. If you want more space on your drive, you have to upgrade your account to paid account. When you upgrade to paid account, your Gmail account storage will also expand to 25 GB. That will be bonus storage for you. Android Users – If you have Android Mobile or Tablet, You can download this mobile app. With this mobile app you can access your files on your Google Drive directly from your smartphones. This service is new from Google but the concept is already there with hotmail and people like us are using for more than several years with 25GB free usage. However it's welcome because the Google users are growing much faster. And this is considered as an improved Google doc sharing feature already it has. You always are ahead in sharing first hand info to tamils.